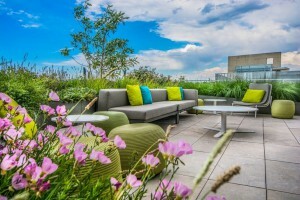 Reach new heights at Spire, Washington, DC’s newest premier corporate events venue, conveniently located in the NoMA business district and steps away from the Union Station Metro station. Spire is located on the top floor of the American Psychological Association’s 351,000 square foot headquarters, an Art Deco class A building noted for its fine details and Capitol Hill views. 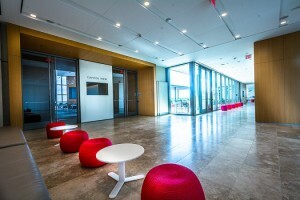 Five unique rentable spaces offer an array of configurations for business meetings, corporate events, and receptions ranging in size from 25 to 450 people. Enjoy seamless service with an all-inclusive concierge package, prep kitchen and exclusive catering options. Onsite parking available. Please call or visit our website for complete information. Catering is available from two preferred caterers. Full in-house A/V capabilities available including video teleconferencing, multimedia displays, video and slide projection, and microphone systems. Onsite garage parking available below the building. Additional parking available on street level or at nearby public parking lots. Across the street from Union Station and one block from both NoMa-Gallaudet & Judiciary Square Metro Stations.